All you men out there. It’s the start of a new year. 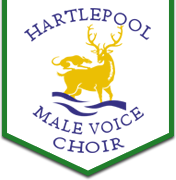 Why not do something different this year and join our choir? Check the Concert Calendar to see all the events planned that you could be part of. Not only that….. it’s fun! Why not come along and sit in at our rehearsal on the 8th of January? You’ll be made most welcome. Music reading and/or previous experience is not required and you don’t have to have a fantastic voice. You’ll be shown all you need to know as you go along. If you don’t feel it’s for you, that’s fine, but at least give it a try first. So put the date in your diary – Friday, 8th January, 7:30 p.m. at the Corner Flag. If you need any other information please e-mail us through the Contact area on this website or call our Secretary, Mick Waller, on 01429 423063. Don’t just say no – give it a go! !